Without warning, things went from bad to worse. 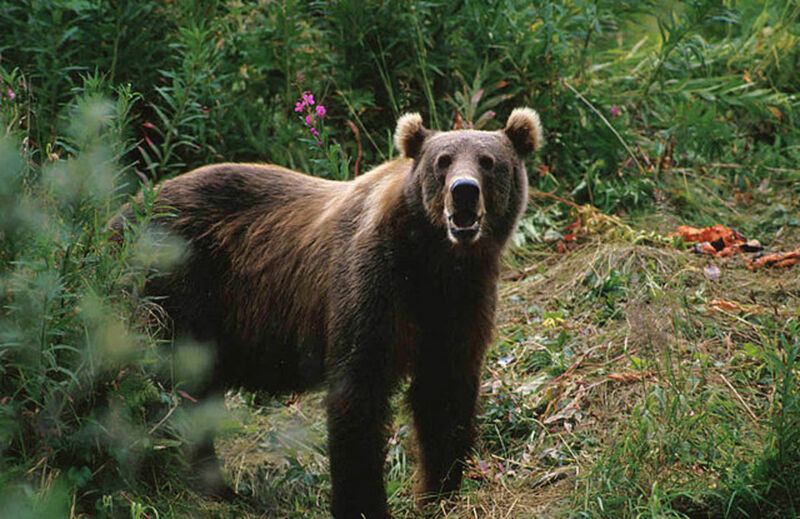 A brown bear loomed just thirty feet away through Kodiak Island’s infamous alders. An angry, wounded, thousand pound bear. The lone hunter, an Alaskan resident, had lined up a perfect shot. Perfect until the bear took one small, sudden step forward. The 300 grain, .375 caliber bullet intended for the bruin’s upper chest struck just behind the ribs. The bear bellowed and dashed away at forty miles per hour. The hunter spent a fear filled fifty minutes on the profuse blood trail until it went cold. Although large, the exit wound had closed up, as abdominal wounds can. The hunter stopped and surveyed the thick brush with a wary eye. Nothing. The hunter’s heart rate almost doubled. The bear you do not see is the bear which will kill you. Then a low grunt drifted on the wind. Over there. Close. A hard, cold rain broke from the ragged clouds overhead and in less than two minutes turned into thick, wet snow. The hunter inched forward. The white stuff smothered the hunter’s rifle and froze the bolt solid in seconds. If the bear needed more than the one round in the chamber, the hunter had none. Clack, clack, clack. The bear’s jaw popped in rage and pain. The hunter had to go into the thick and get it, no matter what. Someone would not survive the next five minutes—no guarantee as to who. The hunter set the rifle aside and rummaged under a waterproof parka. 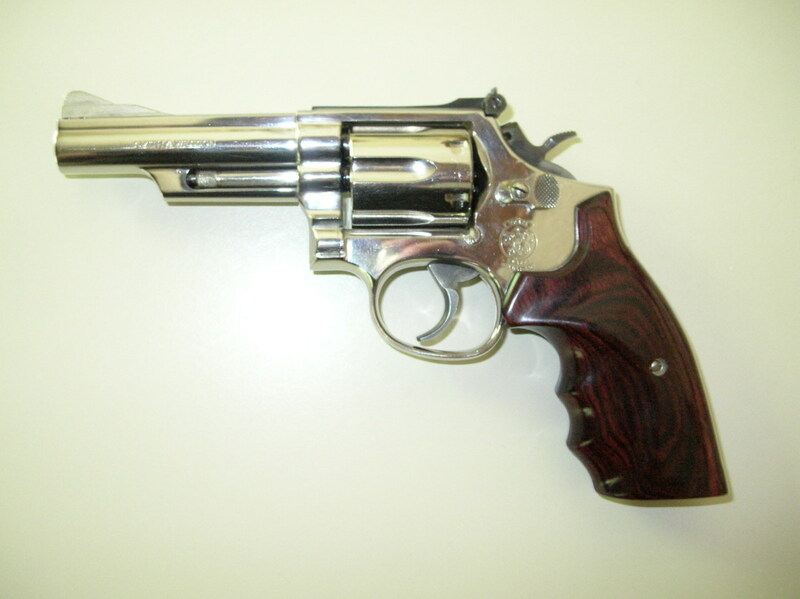 Hand emerged filled with a large frame revolver—short barreled and chambered in a big-bore magnum. Five rounds seemed better than just one right now. The hunter advanced. With a free hand he pushed aside the wicker basket-like intertwined branches. The bear peered back, just ten feet away. Despite the revolver’s heft, the sights jiggled as the hunter struggled to center them on the bear’s frying pan sized face. Another jaw pop. The bear coiled up, ready for one last desperate lunge. The hunter fired and the bear dropped as if hit by lightning. A solid brain shot. 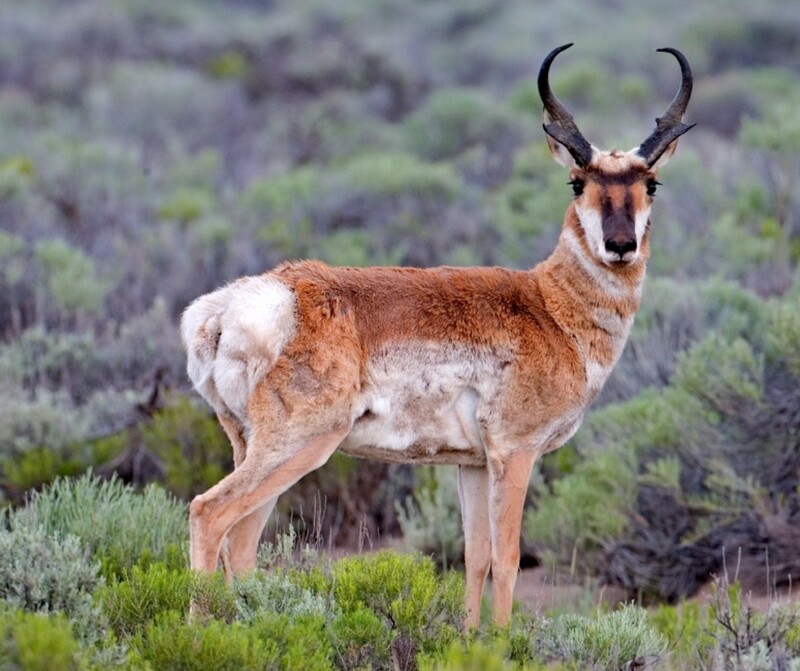 Do You Need a Backup Gun for Hunting? While the story above is fiction, the possibility a hunter may need a backup firearm is real. Some hunters think a second gun is just unnecessary weight. For years, I agreed. 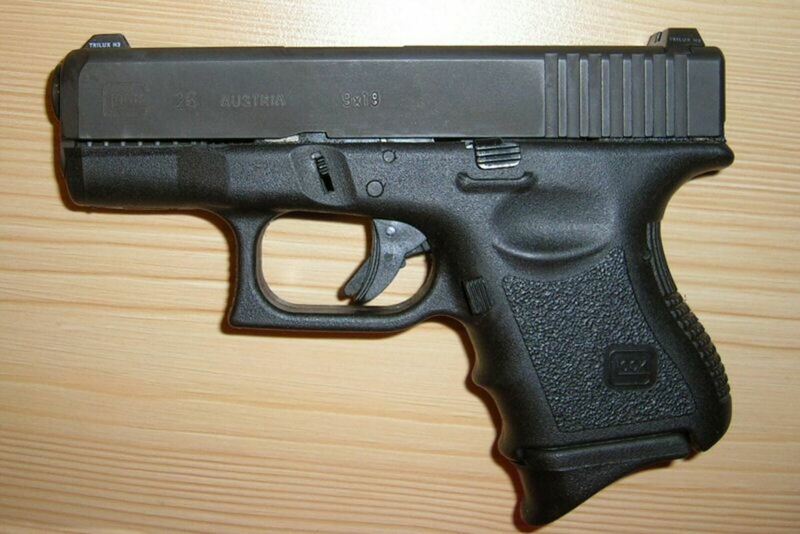 The state I lived at the time had strict concealed carry laws, so any backup gun had to remain in plain sight. Given the wide temperature swings encountered in the mountains during fall, I often started the day wrapped in several layers, topped with the ubiquitous blaze orange vest. By mid-day I’d stowed the heavy clothes and sported just a wind shell over my base layer, only to put it all back on by evening. A gun belt or even shoulder holster didn’t lend itself to constant wardrobe changes. For convenience’s sake, I didn’t carry a backup gun. Once I relocated to a state with more enlightened firearms regulations, I began to reconsider the backup idea. Around here, a person didn’t need a CCW permit for the most part unless they carried a weapon inside a city’s limits, so it didn’t matter if I wore the gun under my parka while in the field. I never have liked firing a round from my hunting rifle to finish a wounded game animal. It wasted valuable ammo, and at such close range, it caused needless damage to meat, not to mention the ricochet potential. 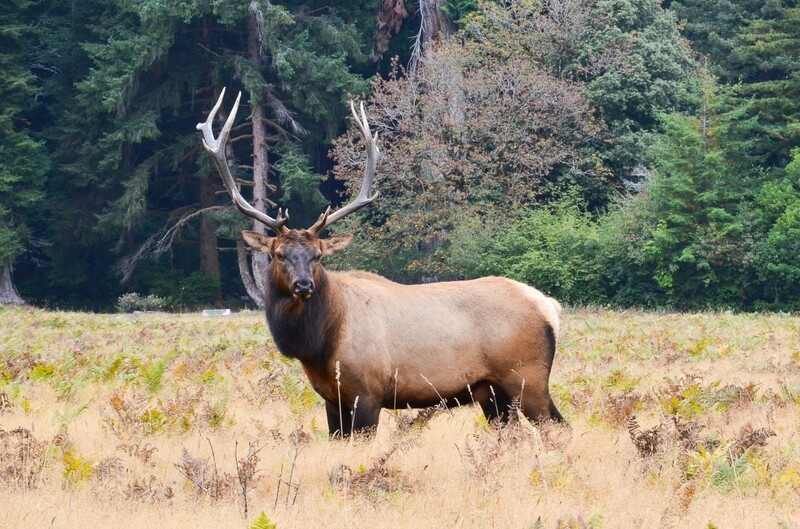 The old advice to cut the animal’s throat with a knife is much less appealing if said throat is attached to an 800 pound bull elk with massive, sharp antlers who could, as a last defiant act, lash out at you. Better to stand safe, a few feet away, and put a handgun bullet in its brain bucket to end things. 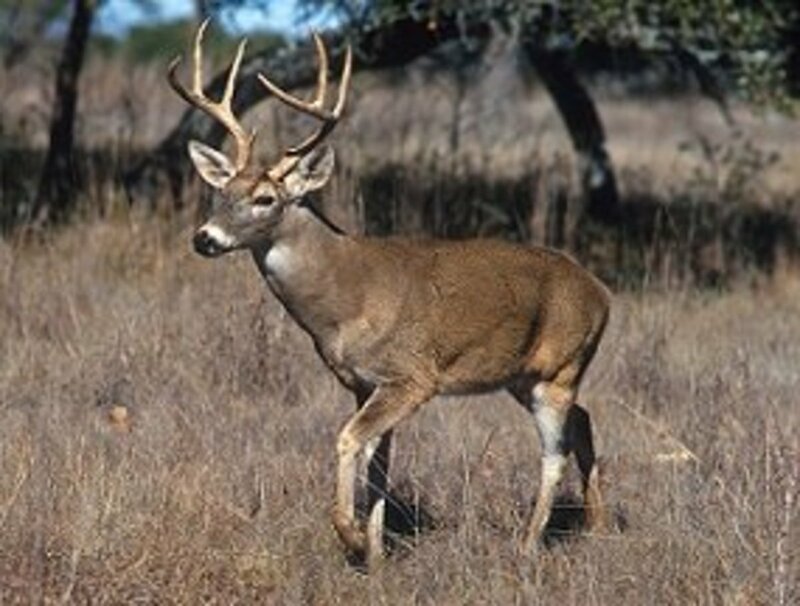 Another big reason for a backup is the fact a hunter can become isolated, fast. In many cases, a twenty minute drive off a main road or a half-hour hike can put you miles from anyone. You’re on your own. 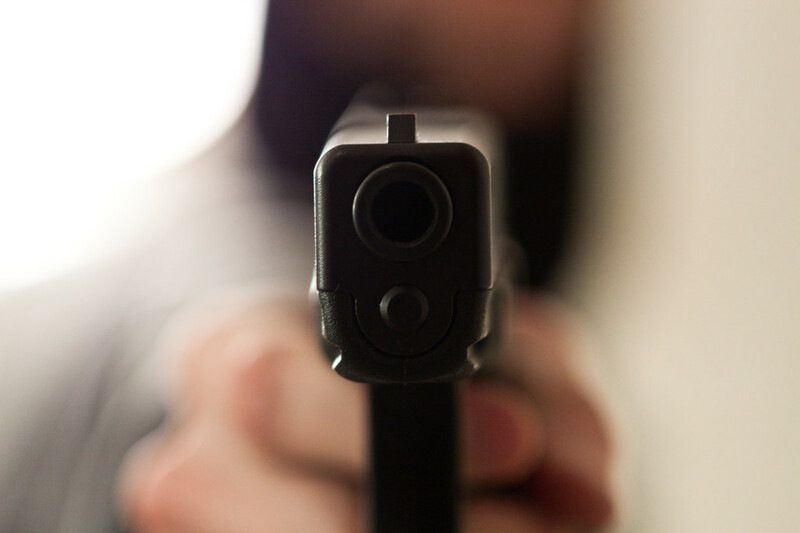 If you run into an unsavory person or persons, you may need more than just a bolt-action rifle with three or four rounds in it should things get, as the British say, “sticky.” At such a moment, a proven self-defense handgun could come in handy. An unrealistic possibility, you say? Not at all. Many criminals hide from the law in rural areas, and there are more and more illicit drug growing operations on public land around the country each year. Then there are the irascible loners and just plain psychotics who also value solitude and turn up in the wilderness from time to time. You have to prepare for such things. It just makes sense to have a backup gun when hunting. So what should you carry? It all comes down to what you expect to shoot with the backup gun. If you might face a situation similar to our fictional hero mentioned above, you’ll need a powerful big-bore. If not, something milder which does double duty—animal dispatch and self-defense—is more appropriate. There’s never been a better time to find powerful, big-bore handguns than right now. Almost every gun maker offers at least one revolver chambered for large magnum cartridges and many offer semi-auto pistols which fit the bill as well. What cartridge should you choose? For use in the lower 48 states, a .357 Magnum loaded with heavy for caliber bonded, based jacketed soft-point or hard cast lead bullets will get the job done. It’s powerful enough to use against the bears found there, and as an added bonus, the .357 is the most street proven self-defense cartridge available. It comes in easy to carry medium and even small frame revolvers from Smith and Wesson, Taurus, Kimber, and Ruger, to name a few. If you plan to hunt Alaska, or you just want a little more insurance, the true big-bores are the way to go. 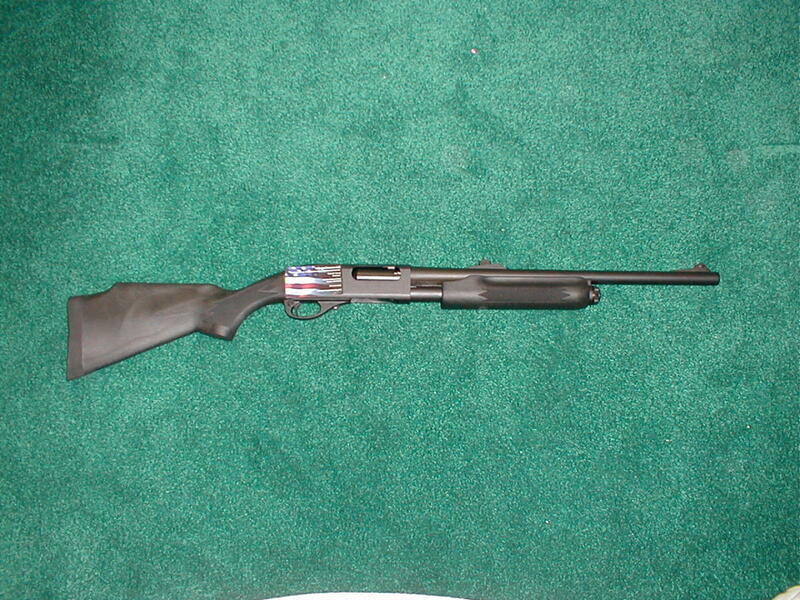 In most cases, either the wonderful .41 Remington Magnum or the ubiquitous .44 Remington Magnum are excellent choices. While I love the .41, the .44 often wins the debate because you can find ammunition everywhere from Dallas, Texas to Talkeetna, Alaska. Again, load them with tough, heavy bullets which penetrate deep. 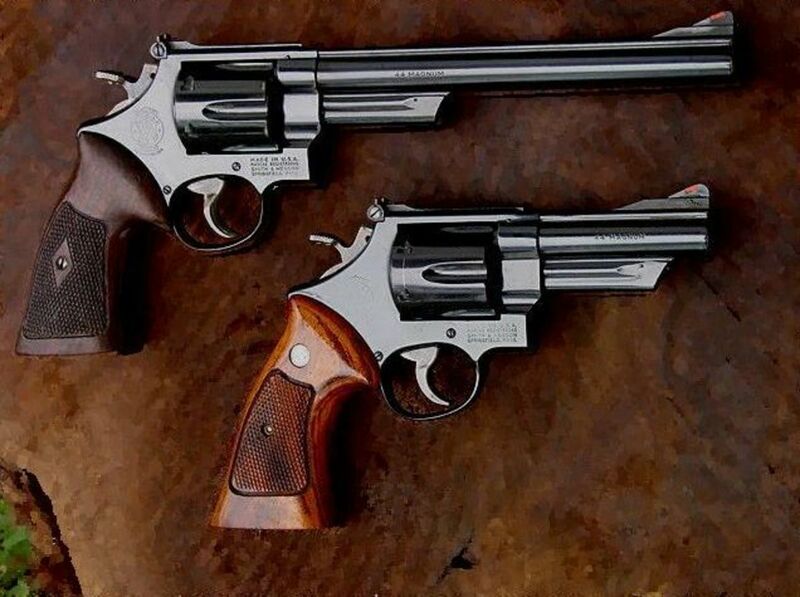 Smith and Wesson, Taurus, and Ruger all offer short barreled revolvers for these two cartridges which are not too heavy. In particular, you can get big-bores in medium frames or large frames made from super-light alloy. Both are as light as possible but they are a handful to shoot. However, the light-weight wrist breaker you brought on a hunt is superior to the heavy, more manageable gun you left at home. If you decide on the nuclear option, the “mega-magnums” as I like to call them, are available. These are anything larger than the .44 Mag. such as .454 Casull, .480 Ruger, and .500 S&W. Even with the most compact guns offered for these bruisers, expect to have a large, heavy steel chunk on your belt. The upside is they will, if used properly, kill anything which walks, so you could keep on hunting with one if you lost or damaged your rifle. While there are rare, boutique big-bore semi-auto pistol cartridges such as the .50 AE which rival the magnum revolver rounds, if you want a semi-auto pistol for bear defense, the 10mm auto is the only realistic choice. The “Ten” is a fantastic cartridge in its own right and is the near ballistic twin to the .41 Magnum. 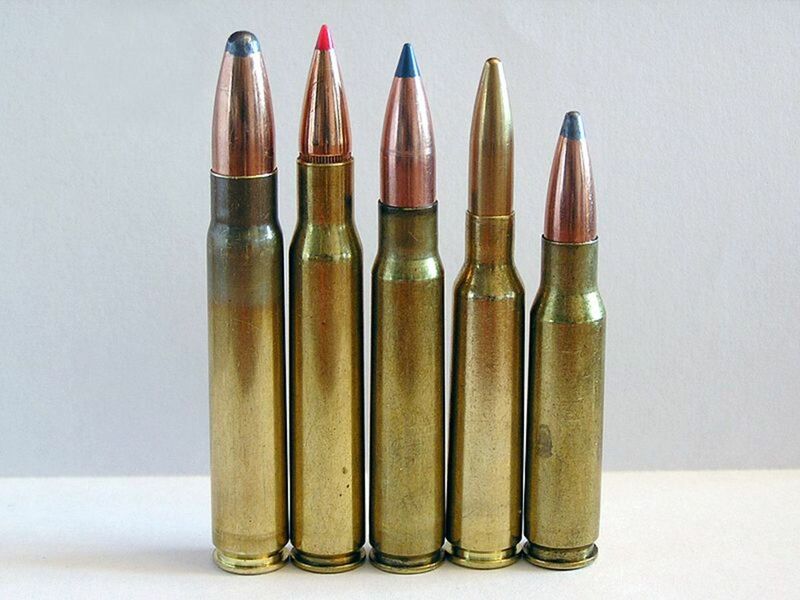 10mm ammunition is available at most gun shops, whereas things like the .50 AE are hard to find. 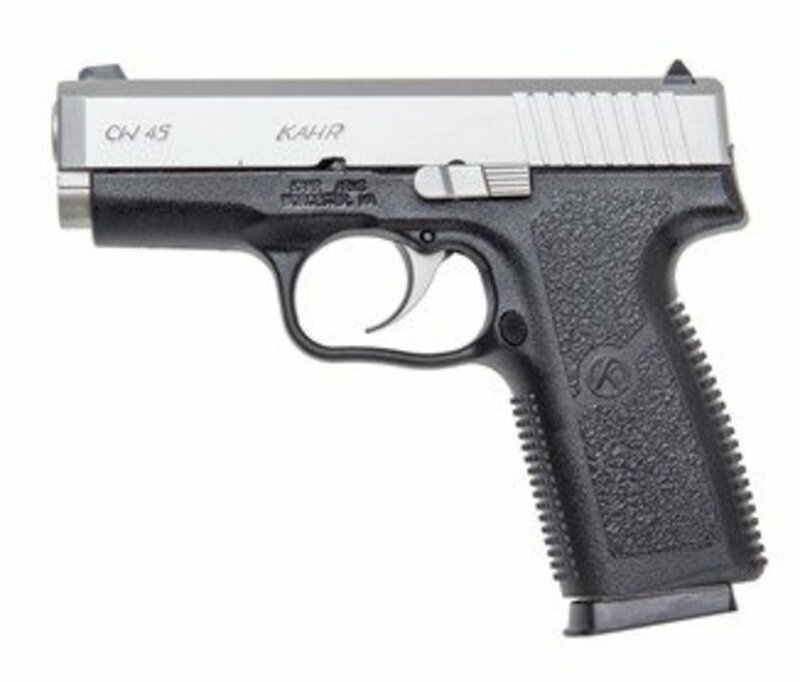 Perhaps the only other choice for semi-auto pistols in this category is the .357 Sig. This cartridge duplicates the .357 Magnum. Many gun-makers chamber pistols for it because it is used by numerous law enforcement agencies. Either it or the 10mm loaded with full-metal jacketed bullets should penetrate a bear’s heavy bones and muscles to reach the vitals. 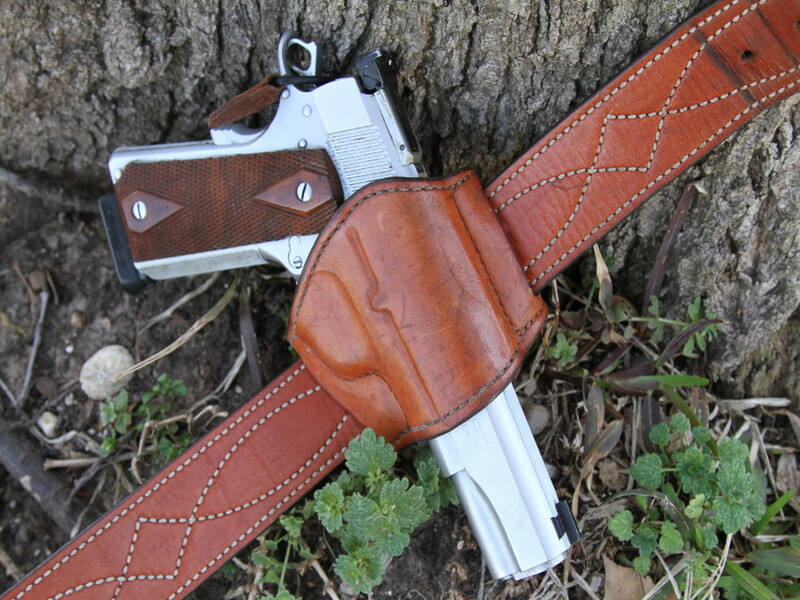 Loaded with bonded hollow-points, they can take deer and even elk sized game. Interesting test with a real bear skull. Bottom line: any strong bullet shot into the brain case will do the job. Do you need a magnum for a hunting backup weapon? No. If your primary concern is game dispatch and self-defense against human assailants, many standard cartridges are sufficient. The 9mm Luger is a good all-round choice. Several companies now offer revolvers for it, so you don’t have to go with a pistol if you prefer wheel guns. Why the “Nine?” It’s easy to shoot, available everywhere, and when loaded with appropriate ammo, is a fine defensive cartridge. Loaded with 115 or 124 grain military FMJ bullets, the 9mm also does double duty as a small game round. The bullets zip through grouse, rabbit, and turkey. They dump just enough energy into the target for a clean kill, but they don’t expand and destroy valuable meat. In a pinch, a 9mm FMJ, which is renowned for its ability to penetrate, fired at contact range into a bear’s brain will end an attack just as effectively as any magnum. Other good choices are .380 ACP, .38 Special, .40 S&W, .44 Special, and .45 ACP. 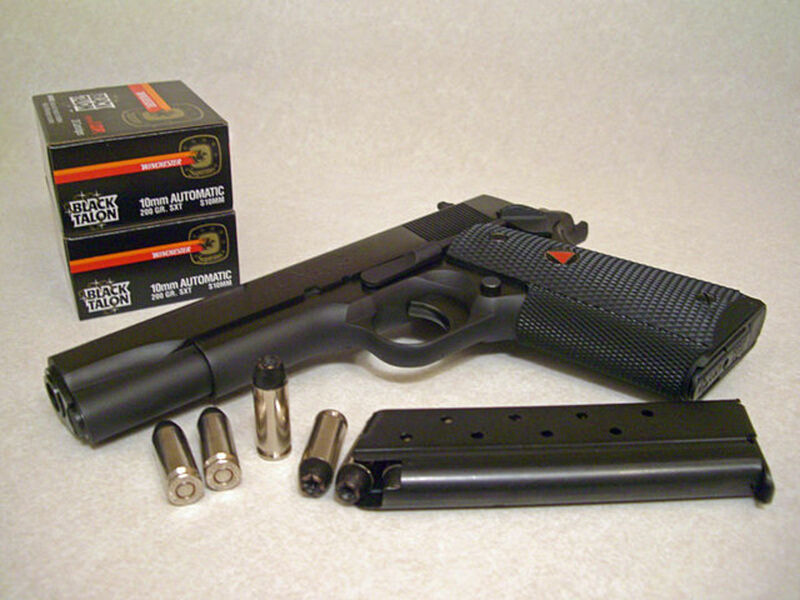 All good self-defense rounds, and if loaded right, will do the job on small and even medium game. The .380 and .38 Special are best reserved for smaller animals and coup de grace shots, though. 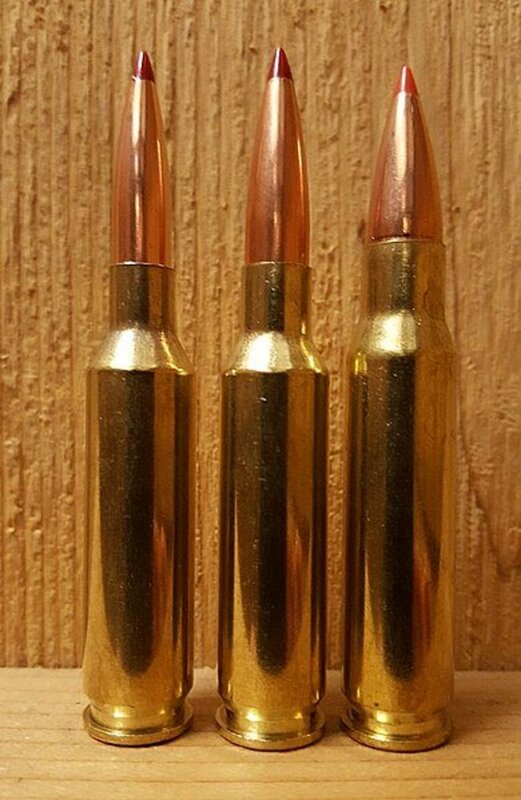 As a bonus, several ammo makers offer these cartridges loaded with FMJ bullets, which makes them even better choices for small game than the 9mm. Both the .40 S&W and the .44 Special are great for both hunting and defense. 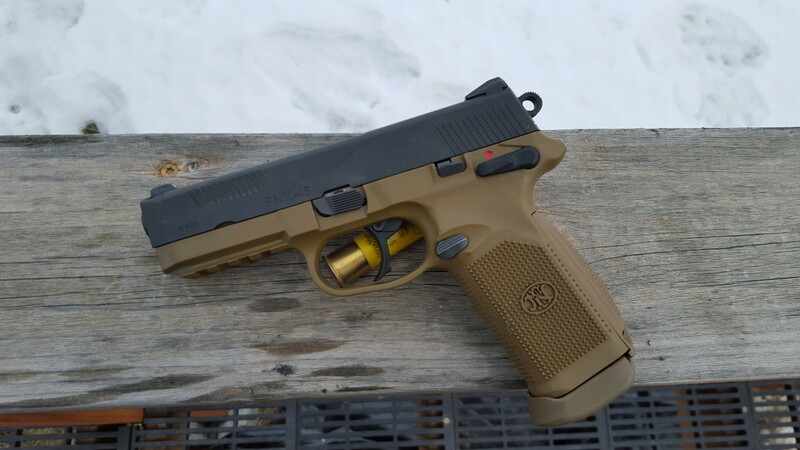 The .40 is in essence a reduced power 10mm and performs much like the .45 ACP. The .44 Special is well over a century old, but this accurate little brother to the .44 Magnum is still effective and has mild recoil. Loaded with traditional round-nose lead bullets, the .44 is great for small game. The .45 ACP is available in higher-velocity +P loads which put it in the 10mm’s league. Stuffed with standard pressure FMJ “hardball,” it is good for small game and bear defense. Plus, the .45 is an excellent combat round. Don’t overlook the .22 rim-fire. While not ideal for self-defense, it is excellent on small game, and placed with precision, it will end a large animal’s suffering. High-velocity hollow point loads can pack a considerable punch, so never underestimate this cartridge. 9mm Full Metal Jacket ammo is great for a hunter's back up needs because it penetrates deep. 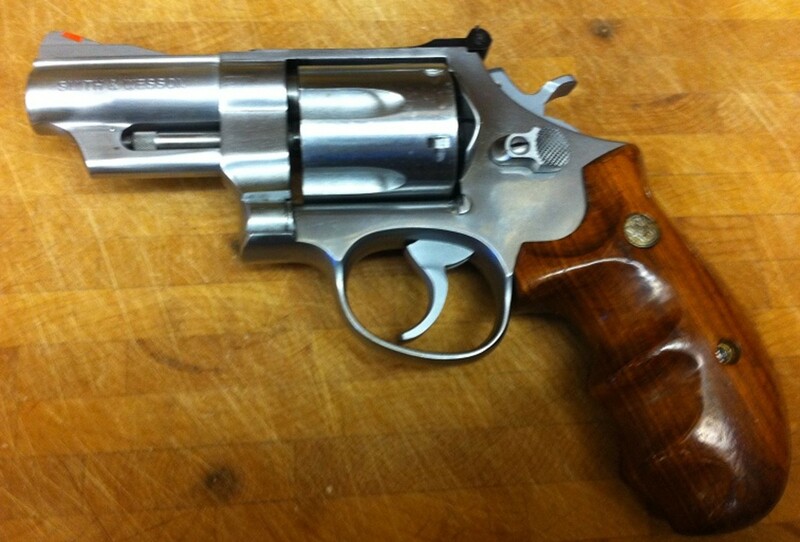 Handguns are no substitute for rifles, but they are excellent companions for them. With so many versatile calibers and guns on today’s market, carrying a backup (where legal) is an easy decision for any hunter. They fill a niche which powerful hunting rifles cannot, and in a pinch, just might mean the difference between living and dying.